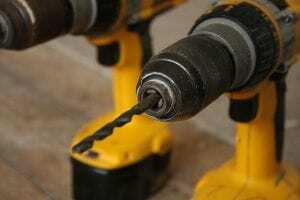 Home » BLOG » What is a corded drill used for? We may already know how essential the drills can be when we want to carry out repairs or maintenance task around the home, well, the primary use of the machine is to bore holes. Most drills could be powered either by electricity or battery, the electrically powered drills are also referred to as corded drill, and the cordless drills are battery powered. So as a construction hobbyist, you would know that there have been several talks about the drills everywhere, even in some DIY forums all over the internet, with some saying corded drills are better, but then you may want to get a deeper insight, so you ask a question like; what is a corded drill used for? Apart from boring holes into different types of materials, by attaching some tool accessories to the corded drill, you can also use them for screw-driving, grinding, sanding, mixing paints and a lot more. We would satisfy your insight you by helping you understand the parts of a corded drill which would also point out how it works and also how to safely uses the corded drill. For a better understanding of the uses of a corded drill, let us talk a little about the parts of this tool. Although not all corded drill may have the same build-up, there are some accessories that even a basic corded drill would feature. Most drills would have two handles one of them is front handle, if your corded drill doesn’t have one, it can be fitted. The front handle would help you have better support on it while you are making use of the tool. It is important to use the front handle; it would give you a better grip and prevent accidents from occurring. The other handle holds more control, on it is the speed control, the on and off switch, the switch lock and it is where the cable is attached to the drill. Another significant accessory is the speed control and the dial. The type of dial may depend on the model of the corded drill, but it is used to switch on or off the tool. The speed is measured in RPM which means revolutions per minute, and the dial controls it, depending on the material you are trying to bore. The switch lock is another essential part to ensure safety, and it is used to keep the switch in an on or off position, so it should be to be given some attention. 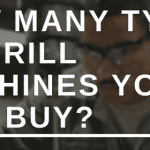 The drill bit is another feature, and it would depend on the material you are working on. The bit comes in various sizes, and the one you uses would be determined by on the size of hole you are making. Some bits can be changed using a chuck key, but some familiar brands are self-locking, and you can lock it in by turning the barrels in opposite directions. For a basic corded drill, there should be a hammer action control with at least two settings; one is the normal setting, the other is the hammer setting. You can select the normal when you are working on natural woods, manmade boards or metals, the movement would be a clockwise direction. When you select the hammer, the drill also moves in a clockwise direction, but this time it vibrates backward and forward with speed as if it is hammering through the material. The hammer settings can be used to work on masonry, bricks, and stones. The depth stop helps you accurately keep to the desired depth while you bore, it is a long screw attached to the side of the drill, and you can control it by turning it with a screwdriver. What you do is set the screw until the length between the end of the depth stopper and the end of the bit equals your desired depth, so when you are boring through a plane surface, the screw would be a good stopper. Since the corded drill is powered electrically, there are some necessary precautions that you should pay attention to, if you want to be assured of your safety while you use the tool. The first thing is to ensure that the cords or wires are laid out in a direction that wouldn’t interrupt you while you work. It may be dangerous if you trip over while you work with the tool. Another thing is to ensure that you use a circuit breaker, so instead of shocks or an outbreak occurring, the switch flips off and cuts the power. Since you are drilling through a surface, it is important to use safety goggles to protect your eyes from wooden shafts or metallic particles and excessive spark lights when drilling through a metallic surface. Using the drill, you would have to apply pressure on the surface you are penetrating, the tool would have a strong vibrating force while you use it, so you have to make sure you give a firm grip to both the front handle and the normal handle. Balance is crucial for safety, so while you are using the drill, stay in a position and keep your feet is apart to gain stability, and also lean into the drill, so your weight would be a supporting force. Electricity can be dangerous around water, so check the area you intend to drill and make sure it is safe from water pipes and other electrical wires. 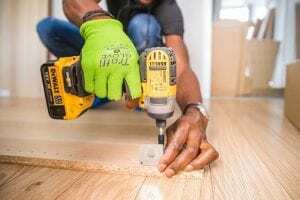 One crucial thing to know when understanding the use of the drill is that the power source and the electrical motor of the tool would have a major influence on the way they function: mostly their speed, which would determine their usage. Although drills can also be used for several construction purposes, and a corded drill is most times a more powerful tool than the cordless drill, due to the abundant 110-volt power supply. For safety, you may also seek for training from a professional constructor or a qualified instructor before you use the corded drill.